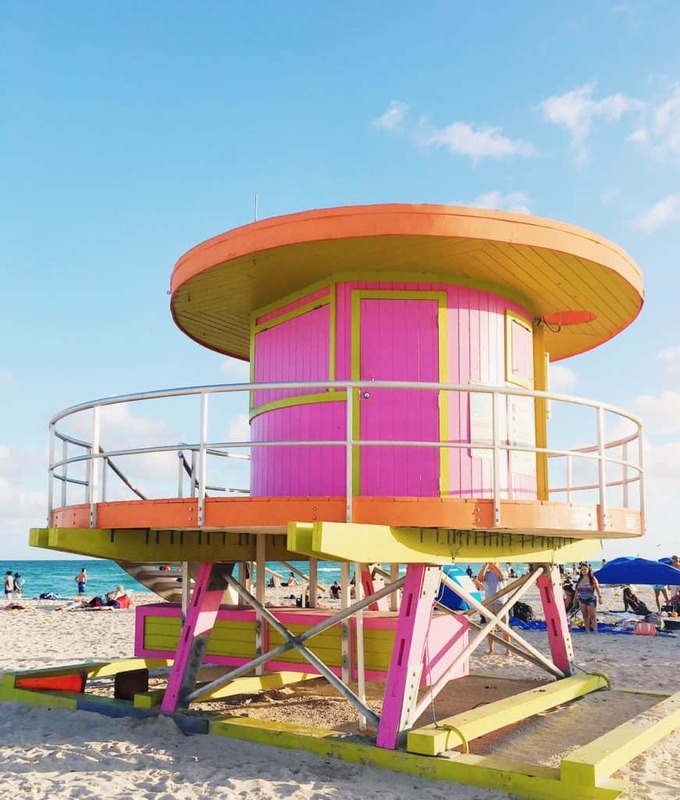 In this post, I’ll tell you about the best spots to visit in Miami and Miami South Beach in Florida, USA and compare Miami vs Miami South Beach. I visited Miami together with Pepe a few months ago, and that’s where we got officially engaged. And then we got married in Mexico City, but it’s a different story. However, since the engagement wasn’t in my plans (it was actually a surprise), I did a research on the best spots to visit in Miami South Beach (where we were staying) and Miami Downtown (which was definitely on my list) and managed to visit almost all these places. 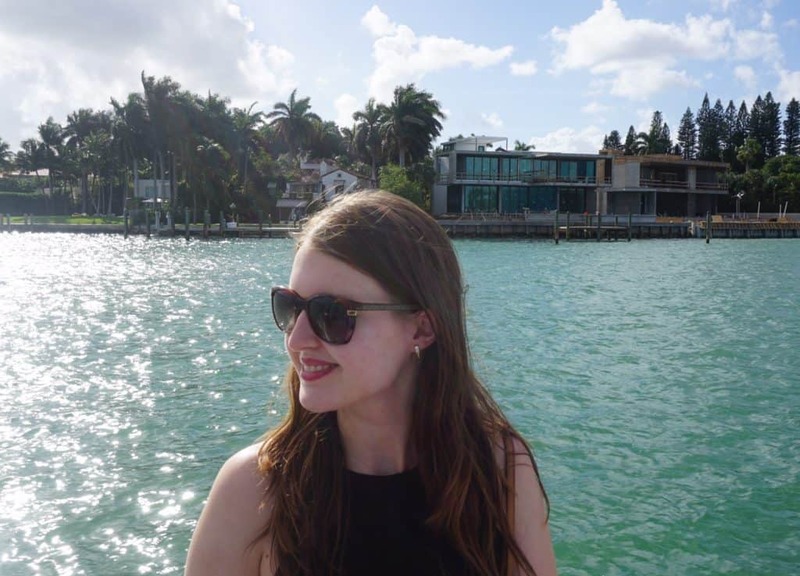 The creation of list took quite a while and all the places were worth it, I decided to create this post, so you get some inspiration for your future trip to Miami and Miami South Beach and maybe save some of these places to your list. Miami South Beach is an amazing place to spend your vacations, if your main purpose of visiting the city is relaxing, sunbathing, swimming and shopping. Miami South Beach is all about the atmosphere – you can sit on the promenade and sip a giant Margarita and listen to some Latino music playing in the passing old school cars. We stayed in a hotel Mondrian South Beach and we loved it, however, we had to take a taxi every single time we wanted to go to the beach. Look for some great hotels on Trip.com. 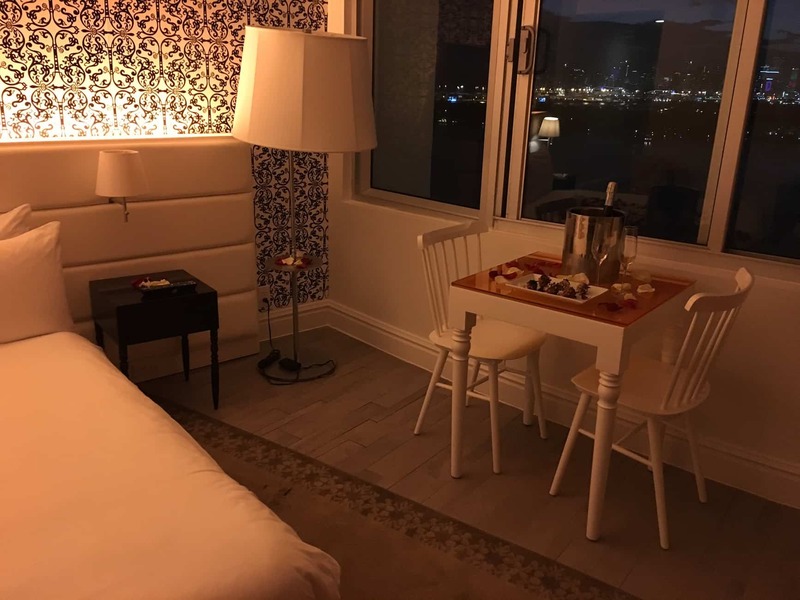 In case you’re planning to visit Miami because of some work-related business, sightseeing or you just want to have a lovely city break, it makes sense to stay in Miami Downtown. Moreover, you’ll be closer to the nightclubs (if you’re a party-goer) and to the harbour (from where you can take some cruises to watch the celebrities’ mansions). Don’t forget to check There are plenty of great deals on Miami hotels downtown. Everybody loves tasty food! And we’re not an exception. I don’t think you’re an exception either, so in this chapter, I’ll tell you about many amazing spots for foodies in Miami and Miami South Beach. Since, I haven’t spent in both Miami and Miami Beach THAT much time (and I’m definitely not a local), I don’t have so many places, so if you have a favourite spot in the city that is not on the list, don’t hesitate to leave me a comment and I’ll add it here for sure! 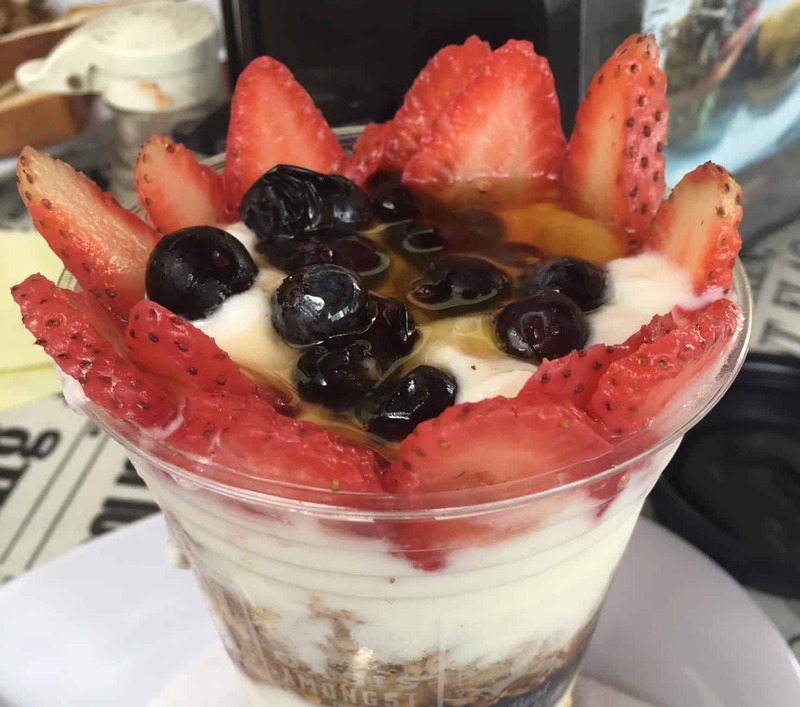 The Daily Creative Food Co – has the best granola + fruits + yoghurt and it looks so yummy! We also tried poached eggs and hash brown and it was really tasty! 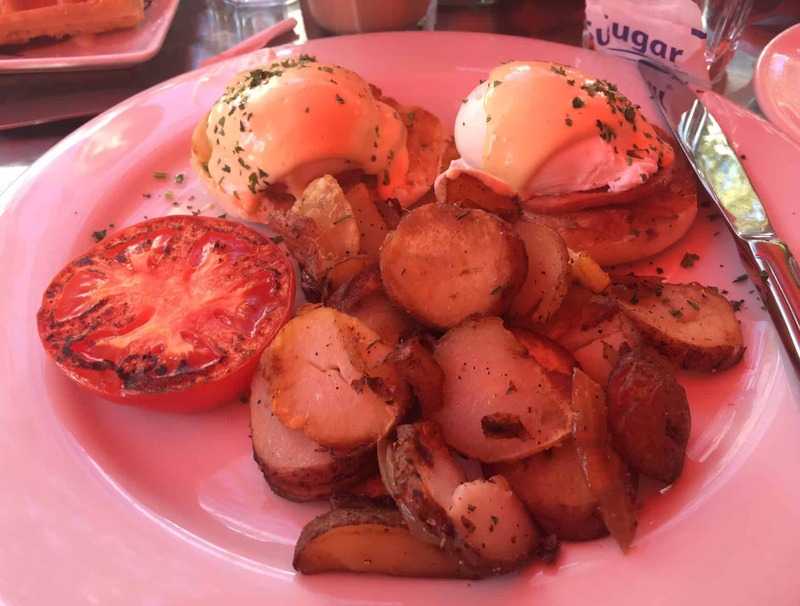 Oliver’s Bistro – I couldn’t pick just one place because I LOVED both of them! In Oliver’s Bistro, I had amazing Eggs Benedict and I will remember it for a long time! Cafe Bastille has an amazing breakfast! I had one of the best Eggs Benedicts in my life in this place. Also, Pepe ordered the waffles and I tried a piece of them and they were majestic! La Sandwicherie – if you want something fast and insanely delicious – head to Sandwicherie for the best sandwiches in your life! 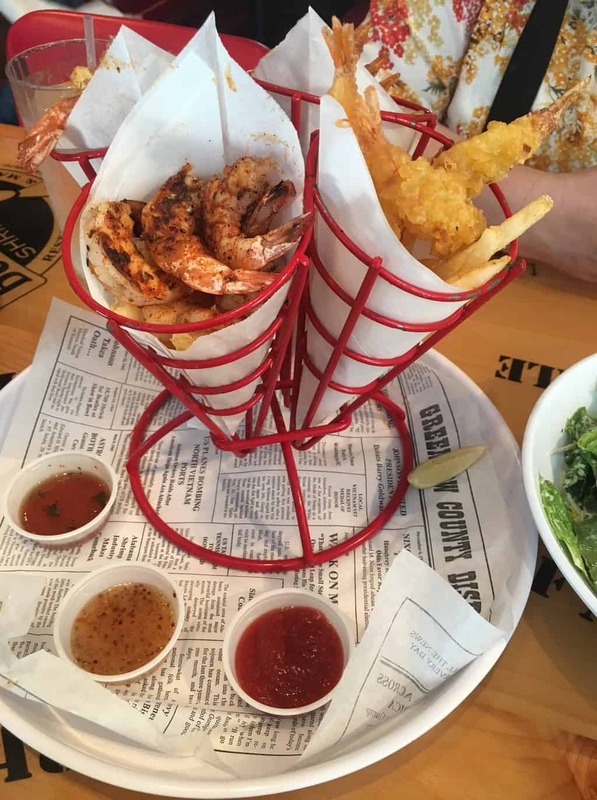 Bubba Gump Shrimp and Co is one of my favourite places for lunch in Miami Downtown. They have easiest shrimps ever and their cocktails are great too! Smith & Wollensky – it has the best steaks in town! Mandolin Aegean Bistro is located in the little Haiti District of Miami and has an impressive rating of 9.4 on Foursquare! Miami has an impressive variety of different cuisines from all around the world and it’s truly a great place for foodies! Sugar: it has amazing cocktails and great Asian tapas! 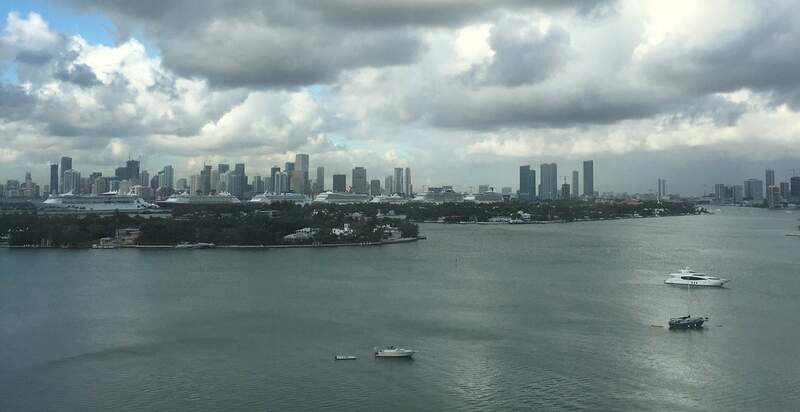 As I already mentioned above, you can go on a cruise from Miami Downtown to learn more about the history of the city and see the famous apartments and villas of celebrities. If you’re lucky, you can even see some celebrities chilling in their gardens, just like we saw David Beckham and 20 of his guests sunbathing in the garden. I don’t know how do they feel about these cruises and people staring at them and trying to take photos with the cameras with telescopic lenses, but I guess, if there were really annoyed about it, they would have constructed some sort of fence made of plants, like some of the celebrities actually did. Just before or after your cruise, you can spend some lovely time in the harbour, listening to the live music and drinking a cocktail or a smoothie. In total, we spent around 2 hours there and around – because it’s a nice neighbourhood and it’s definitely worth visiting. Miami Downtown has some pretty great shopping malls (e.g. Dolphin Mall), but if you’re really taking shopping seriously, you can take a taxi and head to one of the biggest shopping centres in Florida – Sawgrass Mills. I wrote more about it in THIS post. It is so huge, that you will probably need the whole day to visit most of the shops there. It also has a great designer outlet, and sometimes they have 50% everything in some of the great designer shops. 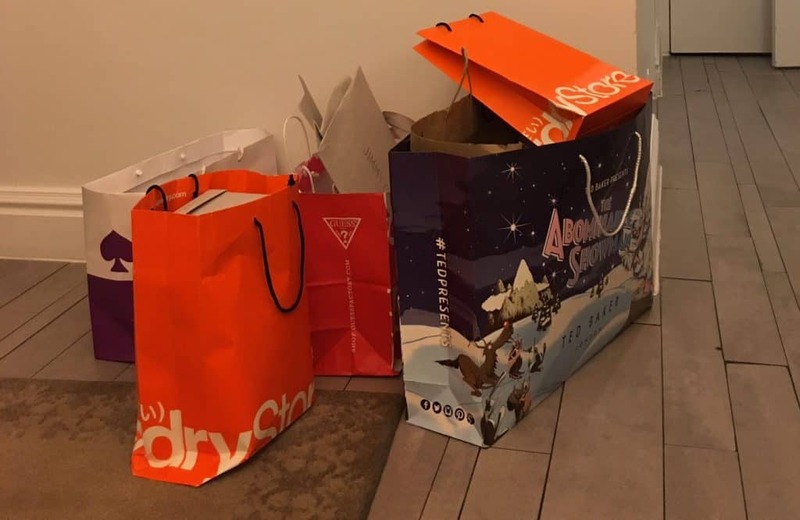 For example, when we went there, there was a 50% sale in Coach – so it was possible to buy a Coach bag for as low as 120$ and there was a 50% sale in Gucci and there was a huge queue to enter the shop! I didn’t want to spend much time in the queue, so we skipped Gucci, but I can imagine how great the offers were there. Miami has plenty of great museums to offer, so you should definitely visit at least some of them. What I would definitely recommend you to visit is Wynwood walls – it’s a graffiti museum in the heart of Miami and it’s where the majority of the colourful photos for Instagram are taken! You can also visit Vizcaya Museum and Gardens and the Ancient Spanish Monastery. In Miami South Beach, you can go on a shopping spree to the Lincoln Rd, which has plenty of amazing shops like VS, Guess and even department stores like Macy’s. It’s nothing compared to the Sawgrass Mills, but it’s still nice if you’re main aim is shopping, just take a taxi and head to the Dolphin Mall or the Sawgrass Mills. Miami South Beach has a great number of Art Deco buildings and they are definitely worth taking a look! 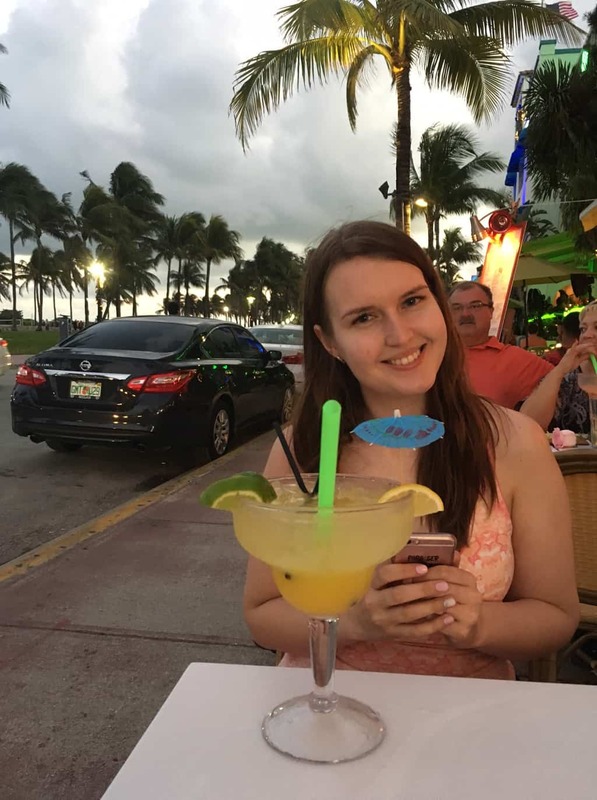 In case you’re planning to go to Florida and visit Miami for the first time and your main aim is just relaxing on the beach and having fun, I would recommend you to go to Miami South Beach – it has everything you need, but if you want to go to some spots in Miami Downtown, you’ll just need to take a taxi. If you consider visiting Miami as a city break and you’re not interested in the beach activities, you can stay in Miami Downtown – it will be more of an urban adventure, rather than a tropical holiday. 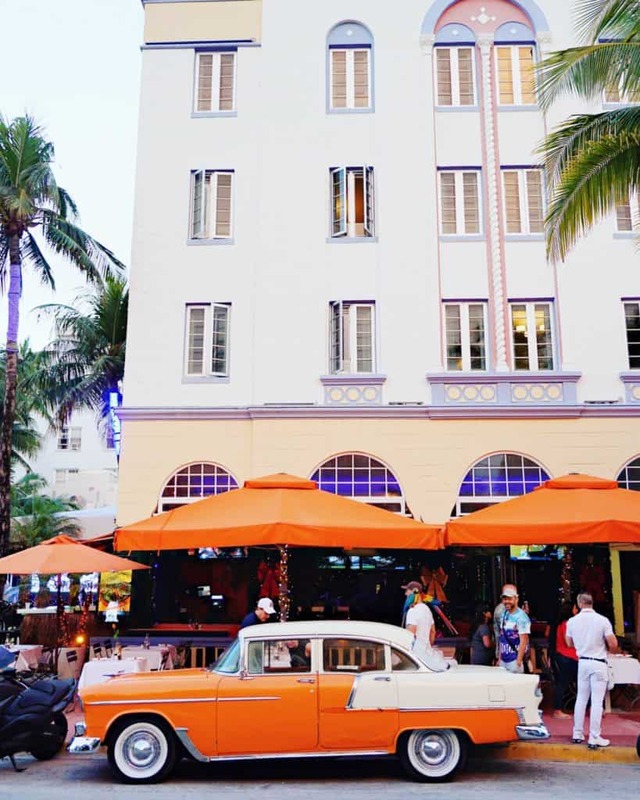 Liked this post about the best spots to visit in Miami vs Miami South Beach, FL? Share it on Social Media!